Loan Modifications: A Question of Economic Injustice? Three questions today, one answer. 1) what was her end game? 2) could her income sustain the payments on the $500K loans? 3) why has she not approached her siblings to reinvest in their collective historical home? 4) why does you/she think that she is entitled to a do over as whatever her plan(s) were have not worked out? Question: Paul, I enjoy your bringing clarity to complicated economic issues. Regarding mortgage defaults, I’m puzzled. I can feel for the people’s hardship, but didn’t they receive money for a loan or refinance? I cannot understand the idea that they want their loan to just go bye bye. Is this fair to the people who lived within their means and honored their obligations? If I am off base, please let me know. After viewing your story from Oct. 19 I would like to know if the borrowers intend to pay off their mortgage or expect the lenders to take that hit. Thank you. Question: Mr. Solman- first, love your contributions and I look forward to them. Re: the BCC story that aired on Oct. 20, I must say I have a problem with one of the recipients profiled in the story. If I understood correctly, she purchased her home for $80,000 and took out equity loans that resulted in a mortgage balance of $240,000. She then qualified to re-buy her home under the BCC program. That would result in a windfall of about $160,000 for this individual who was foreclosed on. Granted some of this might have been a result of compounding interest, but she would have had a windfall in some amount ($60,000? $80,000? More?). I lean liberal, but I also have a libertarian streak. Re: this individual, if I have the facts straight, I do not believe that someone so situated should benefit from a program such as BCC’s. I am all for keeping people in their homes, but it should not be used to assist those that irresponsibly took out home equity loans or lines of credit which they will never have to repay. (Incidentally, who is responsible for covering the $160,000 difference between the original price of the home and the ultimate balance of the mortgage?) Thanks. Paul Solman: We addressed the issue of borrower responsibility recently on the NewsHour and in somewhat longer form on the Business Desk. I thought plainspoken economist Chip Case made the case for loan modification as an “efficient” outcome about as well as it could be made. We happened to use the very mortgage that bothers you. Who covers the $160,000 difference, you ask? The investors who own the mortgage — a goodly number of investors, most likely, since via securitization the mortgage in question was probably pooled with other mortgages, the whole pool then having been (in effect) sold to investors hither and yon. There has been more and more evidence that the underlying problem in mortgage foreclosures has been fraud, yes, real, illegal fraud on the part of lenders and mortgage servicers. There must be a reason that all 50 attorneys general are investigating. I simply do not understand why this has not been more in the news or why it is treated as just a small problem with paperwork. And I do not understand why the NewsHour does not feature it. No one has been charged. Foreclosures continue; the economy is still stagnant for most of us. The big banks are making record profits thanks to the bailout. And most of it is being blamed on deadbeats rather than the criminal activities of people in the mortgage business. 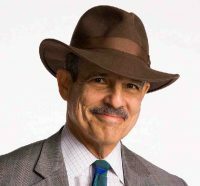 Paul Solman has been a business, economics and occasional art correspondent for the PBS NewsHour since 1985.